These lovely words are a few senual stanzas from a long poem written by Jasmine Moores, Liz Moores‘ talented eldest daughter, in celebration of Dryad, Papillon‘s much anticipated new release. (The complete text is posted on Papillon’s FB page.) The poem is also part of the company’s official description for Dryad, and it conveys far better than I could some of the perfumer’s inspiration and intended feel for the scent. Yet, despite the wonderfully evocative druidic, sylvan, and green imagery, Dryad is technically a chypre rather than a traditional “green” scent (in the way that last category is usually defined or described in perfumery). In fact, on my skin, Dryad is a chypre, chypre-oriental, forest scent, and green fragrance, all rolled into one, and it ripples fluidly from one genre to the next without ever limiting itself to one category’s main, dominating characteristics. As someone who finds purely green scents far outside their personal comfort zone and who typically twitches at the words “galbanum” or “violet leaf” (let alone when horrifically combined together)(full-body shudder), one of the things that I like best about Dryad is that it demonstrates none of the frigid hauteur, aggressive stiletto sharpness, and stark minimalism of Chanel No. 19, the legendary benchmark for green compositions. Thank God, no. I’m equally relieved that there is none of the biting green-black brutality of its galbanum-drenched, cold, leathery couture counterpart, Robert Piguet Bandit. At the same time, Dryad is nothing like Mitsouko, the olfactory benchmark for the chypre genre, nor a literal and on the nose rendition of a forest scent. For example, there is none of the earthen, mushroom-laden forest floor that so dominates Oriza L. Legrand‘s Chypre Mousse‘s fantastically alien (but admittedly polarizing) fairy forest, nor the Tolkien-esque wildness of the Pacific Northwest which Slumberhouse‘s Norne manifests with such intensity. Instead, Dryad borrows from all these varied genres to create a modern but completely timeless hybrid that dances along the usual parameters while forging its own path in a seamless, polished fashion. 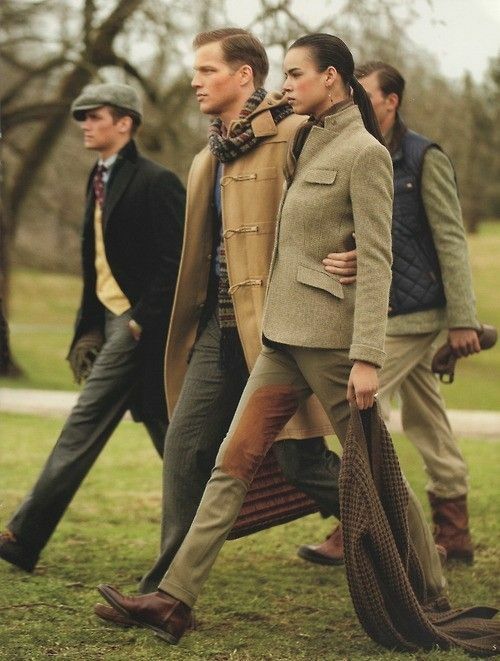 Ralph Lauren collection via Pinterest. Even better, it invites one in — even green-phobes like myself — with its mellow, rounded edges and sunlit meadows, and creates a world that (to me) is all about country chic. Instead of the poem’s satyrs cavorting lustily amidst gnarled tree roots and moss, instead of Chanel No. 19’s icy urban edges, I imagine lounging aristos from Evelyn Waugh’s Brideshead Revisited sipping a large G&T at a casual picnic on a sunny summer’s day under an old oak tree at the edge of a grassy flowering meadow. 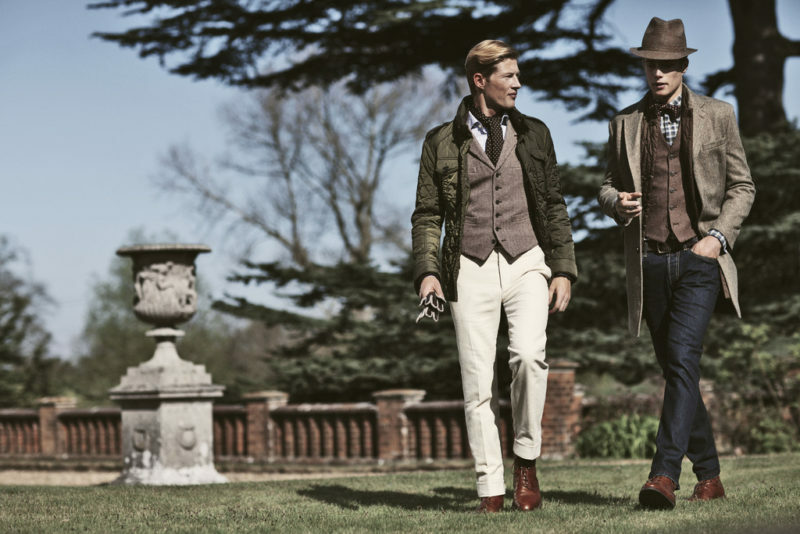 Or a Ralph Lauren tweedy couture photo shoot set in Oxfordshire at an ancient manor house whose crumbly red bricks are covered with a verdant blanket of crunchy ivy and fresh, springy moss, and whose untamed narcissus and violet leaf garden lies midway between a mossy glen and a tiny herb patch. Dryad imbues its many forms of greenness with a welcoming, approachable warmth, balancing its competing cool and warm elements with great finesse and judicious editing for a fragrance that flows with fluidity and seamlessness. The result not only demonstrates Ms. Moores’ enormous growth as a perfumer, but it’s also her best work yet from a technical standpoint. 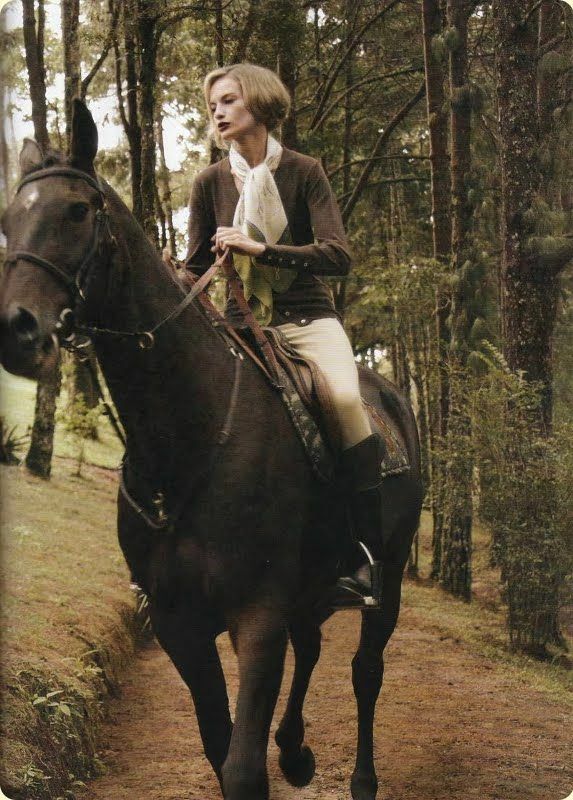 Hackett’s fashion editorial via Pinterest. Bigaradier, Cedrat, Apricot, Bergamot, Tarragon, Thyme, Star Anise, Geranium, Narcissus, Jonquil, Oakmoss, Turkish Rose, Orris, Orange Blossom, Ylang Ylang, IFF’s Costus, Castoreum, Civet, Galbanum, Lavender, Clary Sage, Deer Tongue absolute, Vetiver, Tobacco, Bois de Landes, Styrax, Ionones, Benzoin, Labdanum, and Peru balsam. 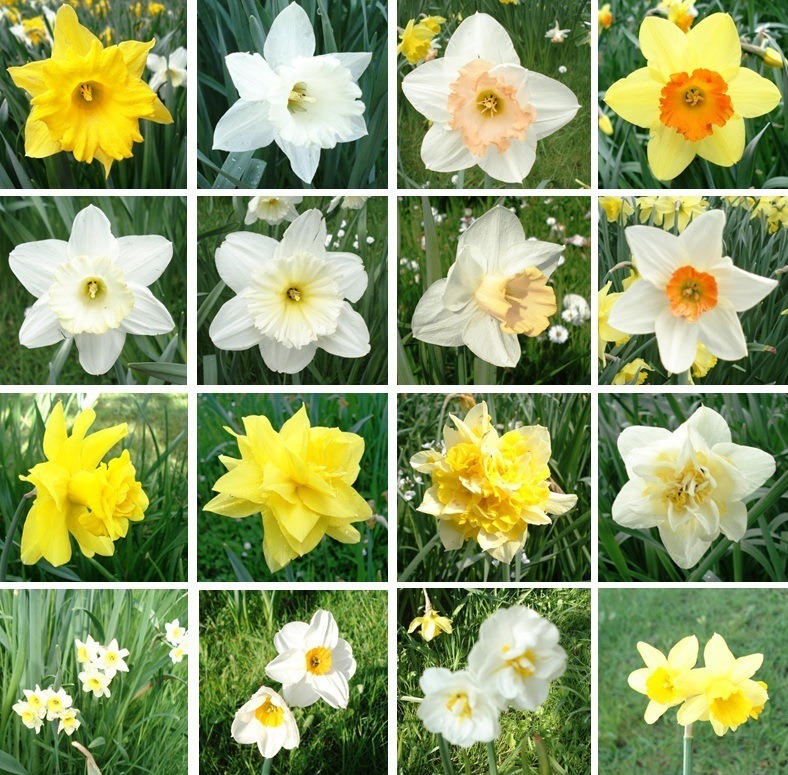 Narcissus in its various varieties or cultivars. Source: Wikipedia. Some of you may be unfamiliar with a few of these ingredients, so let me briefly explain. Bigardier is another word for Bigarade or Seville orange, a type of bitter orange. Cedrat is a citron with a great fragrance but not a lot of acidity. Jonquil is a relative of the daffodil and narcissus but, in my experience, it is not as dry or hay-like as the latter. Deer Tongue (sometimes called “Dog-Tongue” or “Vanilla Plant”) has a sweet, coumarin aroma and was often added to tobacco in the old days to give it a vanilla-like scent. Costus is an animalic material that smells of dark musk, skin, fur, and sometimes of either rubber or dirty hair. (It does not here, let me assure you now. It was used very judiciously and carefully.) Clary sage is a material with the aromatic freshness of lavender but it’s smoother and less forceful, and it can also have a leathery undertone as well. Ionones are often used in perfumery to recreate the scent of violets (or rose). Castoreum and Styrax are frequently combined together to give a leathery quality to a scent. And, finally, Bois des Landes is a Robertet co-extraction of French pine resinoid with Virginian cedarwood oil. Dryad opens on my skin with springy, mossy, piquant, peppery, and tannic galbanum, strewn with immensely crunchy leaves that make me think of ivy, followed by bright violet leaf. One of the reasons why I generally dislike the latter so much is because it is typically a shrill, heavily synthetic greenness that is imbued with a sharp lemony quality. There is none of that here, however. Instead, there is a soft, deep, mellow green leafiness whose edges have been rounded out and which bears layers of olfactory nuance ranging from sweet summer grass to loamy earth, dried autumnal leaves, and fresh, sweet herbaceousness. A ghostly suggestion of thyme (and rosemary?) ripples through the air while the lightest sheen of yellow glitters amidst the greenness as drops of citrus suddenly appear like morning dew. Slender fingers of emerald-green oakmoss slowly sprout up around the galbanum like dancing spring shoots. In the base lurks the merest suggestion of dark sticky resins that weave their way under the main notes like roots. The cumulative effect feels like an early morning stroll through an untamed garden or woods, one’s steps crunching on springy vegetation, fallen leaves, and fresh earth as other parts of nature rustle quietly all around. The rustling grows louder when other players arrive on scene. 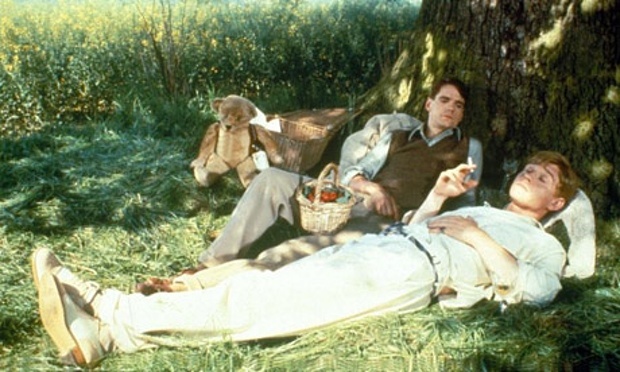 The narcissus appears within minutes bearing aromas of hay mixed in with a dry floralcy, rootiness, leafy bitterness, and a certain sappy bite (for lack of a better word). I suspect that orris and vetiver both subtly contribute to the sense of rootiness that is enfolded within, just as the galbanum accentuates the impression of bitter sap, but Dryad is so seamlessly blended and so wonderfully smooth that it’s not always easy to ascertain where one note ends and another begins. (Plus, so many of the elements have olfactory traits in common.) 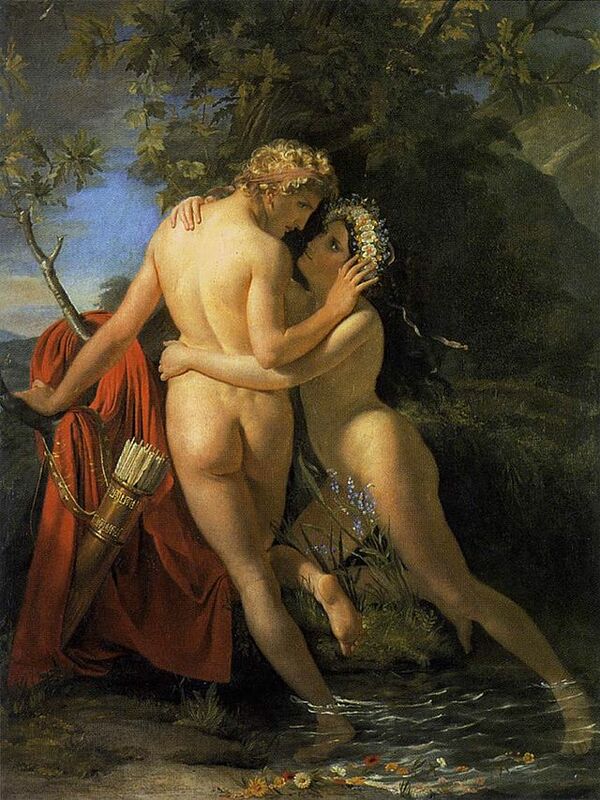 The important thing to know is that the narcissus quickly joins the peppery galbanum, the crunchy leaves, and the complex violet leaf as the main forces driving Dryad’s first hour. The oakmoss, citruses, herbs, vetiver, orris, earthiness, rootiness, and subtly resinous warmth all trail several feet behind, rounding out the picture. Photo: Chiaralana via World in a Bottle FB page. The cumulative effect quickly shifts Dryad away from the cool, damp, shadowy forest of the first 10 minutes to also encompass an entire meadow on a fresh, sun-dappled summer’s morning. Sometimes, the emphasis veers more towards the flowers with their dry, semi-bitter, semi-sweet, and occasionally hay-like aromas; sometimes, it’s planted firmly on the peppery galbanum and complex violet leaf. The two camps or set of accords play off each other, rippling back and forth, as if an olfactory wind had blown across the fields. There is a seamless balance between the two threads where the various parts that make up each section are perfectly clear and distinct, but they’re woven together in perfect harmony so that there is never too much greenness, leafiness, floralcy, dryness, sweetness, or bite. It’s a clever adaptation of the classical chypre structure for something more modern and less typical than we’ve come to expect from the genre. Instead of the traditional top-heavy bergamot paired with a juicy, fruity rose over a mossy base, there is dry narcissus accompanied by galbanum and violet leaf with a heavily tempered citrus note that is folded within soft herbs, grasses, earth, fresh and dried leaves, and sweet grasses. Instead of a rose in bloom, Ms. Moores has gone outside the box to bring you the countryside and its less vaunted denizens. The classical green genre has received the same modernized variation or upgrade as well. For example, Ms. Moores has avoided pairing the highly challenging galbanum note with its usual cold acolytes, like the clean, soapy aldehydes that Coco Chanel loved so much, or the dusty, powdery version of iris. Instead, she’s given it a more naturalistic, country freshness with an underpinning of sunny, oriental warmth through ambered resins and even a carefully calibrated bit of musky, furry, animalism and leather. Those last two accords become significant when Dryad’s middle or heart stage begins roughly 1.25 hours into its development. The fragrance turns both warmer and darker, the ambery resins not only seeping up from the base but growing in strength as well. They’re joined by a wonderful styrax-castoreum-costus leather note that smells quietly smoky, redolent of both campfires and dark musks. Given the seamless fluidity of Dryad notes, the impact of these new arrivals varied from one wearing to the next. In one of my tests, the leather and resins pushed the galbanum and violet leaf to the side at this point, and fused around the narcissus, the dark earth, and mosses. The result was a mix of floralcy, hay, leather, and resins, although the balance of notes increasingly tilted towards a lovely and novel central accord of hay-strewn leather. Small curlicues of campfire smoke, rooty iris, ambery sweetness, furry muskiness, and sticky balsamic darkness remained, but they were not the central focus of the scent on my skin in this wearing. In this test, the floralcy changed late in the third hour from narcissus to a fruity floral sweetness that, on my skin, smelt more like jasmine than orange blossom. It was accompanied by an increased earthiness from patchouli which, every once in a while, bore a hint of dark chocolate and spicy woods. Photo: Bob Wolfenson for Vogue Brazil April 2010. Source: Pinterest. Other tests differed even more. In my second test, it was the narcissus which flitted away at the start of the second hour, leaving behind peppery galbanum fused with benzoin, patchouli, musky costus root, crunchy violet leaf, and a faint suggestion of anisic tarragon. In a third test, most of the green notes retreated into the background, the narcissus remained on center stage, smelt more of dry floralcy than hay (perhaps thanks to the iris? ), and was accompanied primarily by a distinctly horsey leather, which I loved and which I was sorry to see go after 40-50 minutes. In a fourth test, Dryad was a blur of spicy greenness layered with musky leather, a smidgen of tobacco, and a bit of purring, furry, fuzzy animalism, but there was zero sense of floralcy and not much overt ambery resinousness, either. In short, Dryad manifests itself in a rather kaleidoscopic way on my skin in its middle stage and from the second hour onwards, so you might want to test the fragrance a few times before you make up your mind about it. This highly finessed approach is one reason why, as I mentioned at the start of this review, I think Ms. Moores has really grown as a perfumer and in her craft. The notes in Dryad are so harmonized, balanced, and fluid that the scent stands apart from its siblings. Ms. Moores’ other fragrances were frequently dominated by one central theme, albeit usually a multi-faceted, layered one. 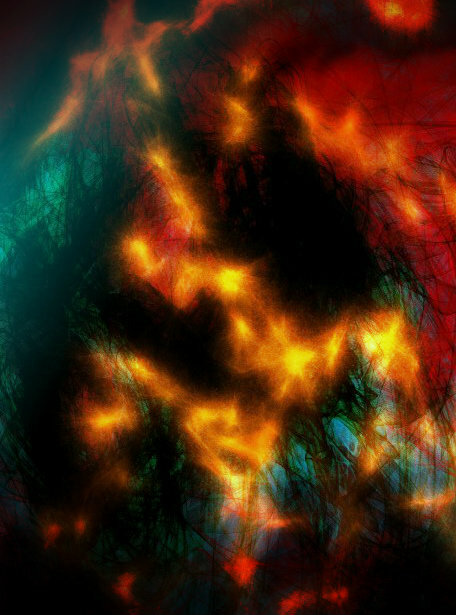 For example, the brazen “skank”-cumin of Salome, the smoky darkness of Anubis, the endless roses of Tobacco Rose. One might argue that the same thing applies to Dryad as well with all its greenness but, to me, the scent incorporates so many elements and nuances, and it ripples back and forth between them so fluidly, that there is no one singular, overwhelming element towering above all the rest, at least not for the first six hours of its life. Photo: David Bellemere for Marie Claire Italia. Source: Pinterest. It’s only in the drydown that things turn simple, although, even then, Dryad never follows an identical course in terms of its specific details. In almost all of my tests, the drydown began roughly around the middle of the 6th hour and was a blur of notes that were musky, warm, sweet, green, lightly floral, grassy, and occasionally a wee bit sour. To the extent that I could pull out any one element, it was initially the narcissus-hay and then, much later during the second half of the drydown, the vetiver. Ultimately, though, Dryad felt more like a sense or mood to me than a set of concrete perfume notes. 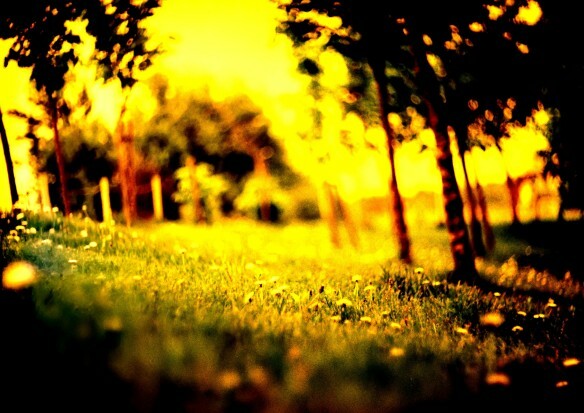 What it reminded me above all else is the scent and feel of a warm, heated body after rolling around extensively in grass, moss, hay, and flowers on a warm summer’s day, their crushed essences, stalks, and petals sticking to your skin. In this test, Dryad eventually finished up as a grassy greenness imbued with a faintly powdery, skin-like muskiness and warmth. The one exception to this development was my third test when the previously dominant narcissus unexpectedly vanished at the end of the fourth hour, and the vetiver took over as the star of the show, wafting its greenness, mossiness, and leafy earthiness. What was nice about this is that the vetiver had a delightful smoky quality to it that worked well with the castoreum and the subtler licks of benzoin sweetness. Equally enjoyable was what came later: a warm, cozy, fluffy vetiver licked by benzoin caramel, dusted by a coumarin-ish powderiness (the deer tongue), and then placed atop something creamy and faintly woody that reminded me of the last stages of sandalwood, only more buttery and sweet. It was only when I look a second look at the complete note list that I realized it had to be the ylang ylang interacting with the Bois de Landes and resins which had created such a lovely buttery woodiness and textural creaminess. This was my favourite drydown and version of Dryad, but all of them were enjoyable to test and wear. I won’t lie to you and say that I plan to rush out and purchase a full bottle of the scent, because you’d think I had been abducted by aliens and possessed if I did, but I would definitely consider buying a decant of Dryad for occasional use. I find it both mentally interesting in its many variations and a very approachable take on the chypre and cool green genres. If I had to compare it to anything else on the market, I would call it the love child of La Via del Profumo‘s Tarzan/Muschio di Quercia (a very sunny vetiver oakmoss combination with some leathery darkness) and Aftelier‘s Bergamoss, only with narcissus added in, loads of galbanum, and a heightened emphasis on violet leaf. Dryad, however, has significantly better projection and longevity than either of those two all-natural scents on my skin, although I would hasten to add that it is softer than its purely oriental Papillon siblings, Anubis and Salome. I was provided with a sample atomizer (whose spray hole was smaller than that on a regular bottle), and I consistently applied several spritzes amounting to roughly 2 sprays from an actual bottle. With that amount, Dryad always started out softly with about 2.5 to 3 inches of projection and about 3-4 inches of scent trail. However, once the warmer, richer, and darker oriental elements began to surface, the numbers grew. The sillage typically expanded to about 5-6 inches after 40-50 minutes, and the bouquet gained body. It was actually quite a strong scent when smelt up close. At the end of the 3rd hour and the start of the 4th, the projection was about 1.5 inches, while the sillage dropped to about 3, unless I moved my arms about in which case a small trail briefly wafted around me. Dryad hovered just above the skin when the 5th hour rolled around, and became a skin scent not long after. However, I had no problems detecting it well into the 9th hour if I put my nose on my arm. After that point, it took a bit of effort. In total, Dryad typically lasted between 13 and 14 hours on me. As a side note, I noticed the fragrance performed better and showed more layers in the heat than in air-conditioned coldness, and that spraying lavishly (i.e., more than the equivalent of 2 small sprays from a bottle) increased the sillage and longevity. As another side note, I think Dryad is completely unisex in its gender profile. Dryad won’t launch until July 10th, so it has no Fragrantica listing at this time, but there are several reviews out there already, all of which are very positive. I’m trying to write shorter articles (comparatively speaking) upon my return to blogging, so I will merely provide you with links and nutshell synopses, and then you can read further at your own leisure. 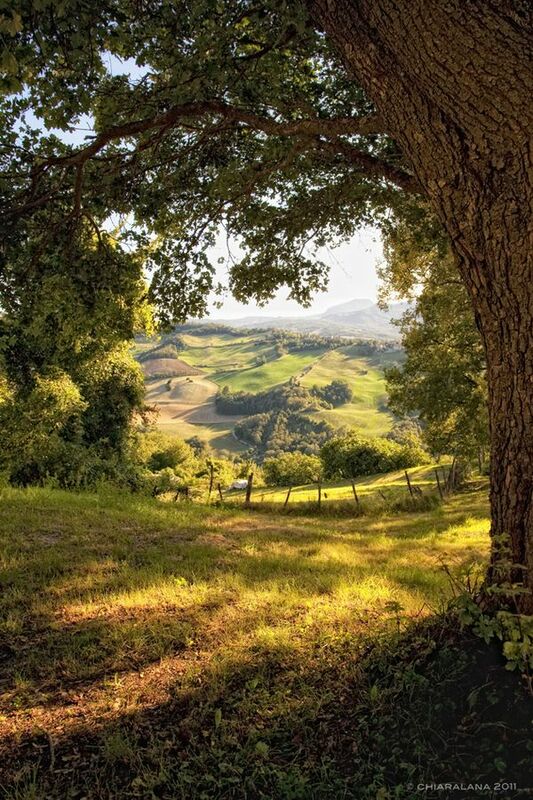 I Scent You A Day fell in love with Dryad, finding it to be an exquisite, green, mossy, sylvan scent with elements that reminded her of vintage Dior Diorissimo atop a slightly Guerlainade-like base. The Candy Perfume Boy called Dryad a “showstopper” with more white floralcy than expected in its opening, followed then by foresty twists and turns thereafter, but with classic Guerlain quality and style throughout. Megan in St. Maxime is, like me, normally twitchy about the green category, but she found herself delighted by Dryad with its “rare mix of that classic, retro feel made modern (and perfected),” and she plans to buy a bottle. In short, Dryad is definitely worth a try. If green scents are outside your usual comfort zone or if prior Papillon scents like Salome or Anubis have been difficult, then this might be the one to make you change your mind. Disclosure: My sample was provided by Papillon. That did not impact this review. I do not do paid reviews, and my opinions are my own. SF’s Tigerlily. Luckyscent and Twisted Lily both sell samples. I don’t know about the others. Outside the U.S.: In Canada, the Perfume Shoppe carries the line, but individual Papillon fragrances aren’t shown for online purchase the way they are for other brands. You may want to call them instead. 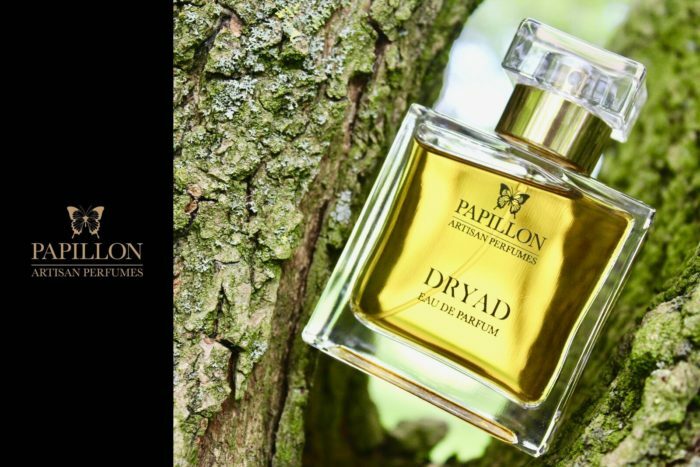 In the U.K., Dryad will be available directly from Papillon. Papillon always sells individual samples and a sample set of all its fragrances on its Sample Page. Papillon only ships within the UK at this time. Dryad will also be available at London’s Les Senteurs. Outside of the UK, the Papillon line is generally available at: First in Fragrance; the NL’s ParfuMaria and Annindriya; Italy’s Profumeria Artistica; Poland’s Mood Scent Bar; Barcelona’s Les Topettes; Brussel’s FreshLab; and Sweden’s Fragrance and Art. For a full list of stockists, you can check the Papillon Stockist page. None of these sites have Dryad yet. Samples: Apart from Papillon and some of the vendors listed here, samples should also be available at Surrender to Chance at some point after July 10th. You can check their general Papillon page at that time. This entry was posted in Chypres, Green Fragrances, Papillon Perfumery, Perfume Review and tagged Dryad, Dryad fragrance review, fragrance review, Liz Moores Dryad, Papillon Dryad, Papillon Dryad review, Papillon Perfumery by Kafkaesque. Bookmark the permalink. They definitely contribute to the warm feel. I would say that half the notes on the list play a barely visible but very active role behind the scenes, working indirectly to add depth, nuances, counterbalance, and layers to the more central players. That careful crafting is one reason why Dryad is such an approachable play on the green genre and such a polished scent, too. I think you’ll enjoy Dryad, Alex. Let me know what you think when you get it. Thank you for the welcome back, my dear, and have a lovely Sunday. When I read a review of yours, my neurons start singing. You reawaken all my senses with descriptions and your wonderful pics, and my thinking with your considerations and comparisons. I already had booked Dryad for the 10th July at my loca retailer. Thank you for your magical review of what appears to be an amazing perfume. You have certainly stirred my interest. You have also created an ear-worm for me today! Debussy’s L’Apres Midi d’un Faune began to weave its way into my head as soon as I began to read, and now its haunting, sensual notes are still playing there. Wonderful, I’m glad I could tempt you, Jillie. I grinned at the ear worm bit, but at least it’s Debussy and not something like Justin Bieber! 😉 😛 You know what scent might actually go well with L’Apres Midi d’un Faune? Bogue’s Gardelia. I suspect it’s not geographically accessible to you, so sampling might be difficult, but that is definitely both a Faune and a Fauve in style. I like green and you make this one sound interesting. You surely had fun reviewing Dryad because of smelling different in your tests and I guess it’s a good thing, this way you exclude the boredom. I have smelled narcissus flowers this spring and it reminded me how good they smell. And they a somehow dirty aspect to them, mostly when smelling them very close. You’re right, Narcissus can have a very dirty aspect when smelt up close. And in some of its perfume forms as well. It can even give off some diesel notes in some fragrances. Not here, but in others that I’ve tried. Whiffs of diesel, dry earth, wet earth, bitterness, venomous green sappiness, floral nectared sweetness next to dry floralcy, dry hay, and so, so much more. It’s a very complex set of aromas, but can also be very beautiful. Here, it’s never dark and dirty like some narcissus compositions, and it’s also not hay-centric like some other scents. Parfum d’Empire’s Tabac Tabou was primarily dry narcissus-hay on my skin, not tobacco! Sigh. Resigning self to sacrificing a new fridge for more fumes. Your return is wonderful and costly, K.
I’m wrapping up being in L. in a few weeks. I managed to negotiate a cross-university collaboration to spend five months of the year by my parents, and 7 months back in Montreal with my partner. Mom back in treatment but at this point I feel like it’s any chronic illness. Bad times and remission times. She is very well surrounded. House hunting almost wrapped up: we might just have found the perfect spot with a back yard and huge basement for my partners pets: two cats (calico female for who I have loads of respect, and an affectivelydependent ginger boy who is doing so much better since I talked him into the right meds) and two rescue dogs (one is a lab mix, we don’t relate, I am beginning to suspect he was dropped on his head, and the other is a chow-lab mix, in recovery from significant abuse and doing great- mad love, shakes his bum and tail whenever he hears my name-my partner is just great with all of them and on some days I feel like the 5th adoptee). Will have to balance the cost of moving again, with needing to buy more Ame Sombre (against all odds, it’s a favorite), and sampling new stuff…. If you do take a more laid back rhythm, my wallet thanks you in advance. And greetings to his highness of course. It’s different than Anubis. Anubis was bolder in its notes, presentation, and feel. Things are more subtle with Dryad, both in technique and in its individual elements. With Dryad, many of the notes have been blended to interact with each other and harmonize, sometimes quite indirectly, as opposed to blazing forth on their own and with intensity. Imagine a harmonizing chorus of singers, as opposed to having some powerful singers taking turns singing intense arias. Both can be lovely, both can be enjoyable, but the style is completely different. Here, the layered technique for the materials and the way they blend or interact with each other so fluidly and subtly is more finessed than Salome where a number of really INTENSE, powerful, bold notes blazed forth, often simultaneously. I think if you try Dryad, you’ll see what I mean, particularly as compared to Salome and, to a slightly lesser extent, Anubis. Thank you for bringing me up to speed with all the news on your end. It seems like *a LOT* is going on, some of which might be quite hectic. Moving is always so stressful for me. So much to do, so many boxes, it never seems to end but, when it finally does, one is left utterly exhausted, both physically and mentally. I wish you much strength and energy for the upcoming events, and I hope everything goes as smoothly and seamlessly as possible. Really, bon courage, ma chere. The “5th adoptee” bit made me snort up my coffee. Your partner’s animal love is wonderful, though. (This is the new chap, right?) Why do you and the Lab-mix not relate? That seems unusual for you. You normally love all the furry ones, no matter what. It was my pleasure. You’re extremely talented. I mean that sincerely and truly. I was most impressed when I read the poem. Two people to whom I read it were also impressed. You write both sensually and evocatively. So far I always sprayed it rather lightly, and still it had a very long life on my skin. Right now I put on 3 strong sprays and I’m getting a slightly diffrent picture, nevertheless a lovely one (more amber and clary sage and emerald). I’m especially looking forward to the drydown, which is a creamy, mossy, musky skin scent. 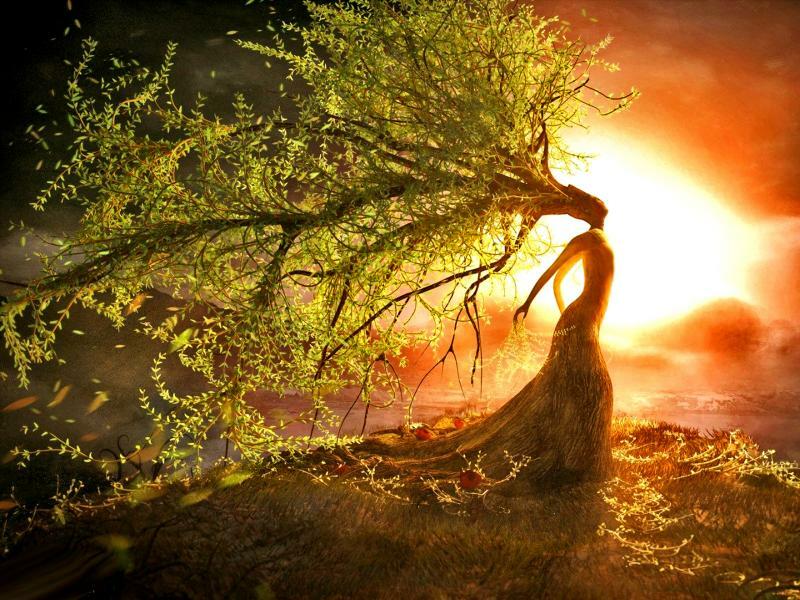 Dryad makes me feel content – being in a better place, where nature is cozy and birds are singing. When you say “atmospheric,” I know exactly what you mean because, funnily enough, it’s a word that I used often in my notes for Bogue’s MEM. What you describe with Dryad is exactly what happens with MEM for me. On my skin, Dryad is not that way, but I can understand why it comes across that way to you. The explanation and cause, imo, is the micro-dosing technique. With Dryad, I’d estimate a fourth to a third of the notes/materials have been used in such careful, delicate, and small quantities that they create subtle layers with more of an atmospheric and impressionistic impact than, say, a bold, concrete, easily identifiable presence. With the exception of the key players, the green notes, everything else plays off each other, harmonizing. When that fact is combined with the airier nature of the scent (as compared to say, Anubis), the cumulative effect is probably quite atmospheric indeed for some. Excited to try it! Love her perfumes and have enjoyed wearing Anubis as well as Salome despite it’s intense presence ( I gently walk into a cloud of it prior to dressing to keep it from announcing my arrival )…. Great Review Kafka and welcome back! As always, a great read! Thank you. Papillon makes interesting stuff, I liked Anubis and Salome (still pondering if I should get a bottle of S.)! And I love the smell of narcissus! Romanza works for me and I think Tabac Tabou is also a beautiful scent. I also love Eau de narcisse bleu, even though in the end its more of a woody cologne (good for warm weather). As for Ostara, the opening is great but turns into a sweet mess on my skin after 2 hours. But yes, so glad to see another perfume with narcissus in it. I am definitely going to try Dryad! I agree, Ostara has a fantastic opening! As you said, though, everything unfortunately goes pear-shaped from the middle stage onwards. I blame the blanket of loud, shrill laundry white musk for a lot of it, but that’s not the only problem. As for the Papillon scents, I think Dryad is the most refined from technical perfumery stand point, but it will never take the place of Salome and Anubis in my heart. Galbanum is an **extremely** difficult note for me, even if I can admire the results here, and plus, orientals will always be my comfort zone over a green scent. Are you a Galbanum fan? I think my main problem with Ostara is the vanilla. I love vanilla when done right and with good quality ingredients (like in Incense Royale by SP), but most of the time its a scrubber for me (too cloying, too sweet, too plasticky). And that white musk…yeah what a bummer. When it comes to flowery notes narcissus is in my top 3! Together with jasmine and tuberose. Notes that also strike a cord with me: vetiver, all kinds of woods, all sorts of ambers, tobacco, spices, and sometimes herbs/leafs/grasses, oh and salty can work for me as well. Notes I struggle with: rose, gourmands and most fruits (fig and citrus are okay). I don’t mind loud, dirty, edgy or intense, but at work I feel more comfortable using lighter and ‘friendlier’ fragrances (open spaced office, lots of meetings). Oh and when it comes to galbanum, its okay for me when it has a supporting role. But I am not that fond of fragrances where it’s front and center. Sounds awesome. Can’t wait for the release! Never smelled any Papillon. For me too, your return will be bad for my wallet! But good for everything else! Thank you for another wonderful review! If this is Liz Moores’ best work yet, I’m especially eager to try Dryad. Salome is a major hit with me, just magical, especially the dry down-so far I’ve only dared wear it at home… Tobacco Rose is the most opulent and gorgeous rose I’ve smelled yet, along with the bright bit of green and earthiness, it’s just heavenly. I’ll be counting the days until July 10! Gosh, Salome’s drydown is to die for, isn’t it?!? So utterly addictive the way it plays out on my skin. I call it Nuzzle-icious. Lol. I hope Dryad ends up being another Papillon that you love. Are you a green fan, Holly? Nuzzle-icious is a perfect description! I’d say I’m a fan of green if the edges are rounded, as you say about the galbanum in Dryad. It reminded me of your review of Chypre Palatin, how the galbanum is tempered, and I love everything about it, and oh, the oakmoss! I’m actually wearing it now. That makes me think I’ll like Dryad, considering it also has the mossiness, and oriental notes, and a bit of muskiness. 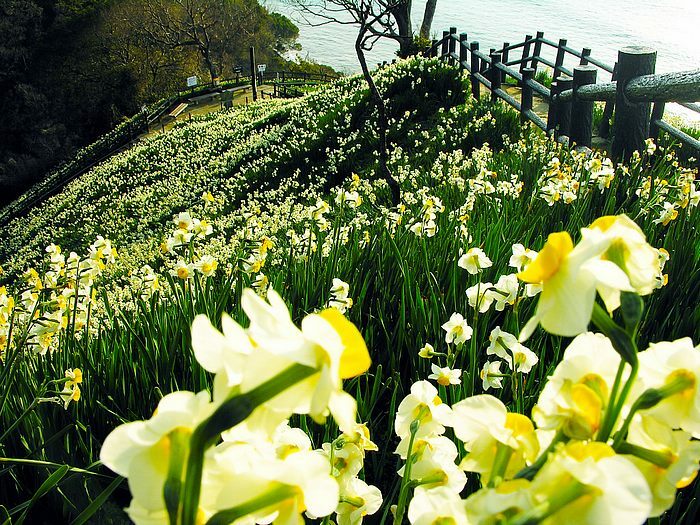 Then there’s narcissus and jonquil, and I’m fond of narcotic white florals in general, especially if there’s no version of white musk that saunters in and stomps all over the flowers. I know that won’t happen with Dryad, so I’m very hopeful this will be another Papillon love. I hope it transports me to a better place too, I sure could benefit from more of that! To be clear, my dear, it was the violet leaf that I described as being rounded out, particularly as compared to the usual sort one finds in perfumery, not the galbanum. The galbanum is very… galbanum… here. As for Chypre Palatin, I really don’t experience any noticeable galbanum in it there. The key thing that dominates and makes that perfume is oakmoss that’s been subjected to the special technique to remove the IFRA-offending molecule(s). I have to warn you that, imo, Dryad is green in a *very different* way than Chypre Palatin and has a very different feel as a result. I don’t want you to go into your Dryad test expecting something like Chypre Palatin because you’ll be disappointed. They are nothing alike, imo. All I can say is hallelujah, the pleasure of reading your reviews is a joy and it’s back ! As for the lines you quoted, they pertain specifically to the drydown. The opening phase is different but hopefully you’ll enjoy it just as much. Can I list myself among the very many who are glad that you took the break you needed and are even happier that you are back. I pre-bought Dryad blindly as I love and own all of the Papillon perfumes except Salome, which is a little too cuminy for me and for my person (although my cats were fascinated) and I adore green in almost any shape and form. I really admire the care and attention you take with things that aren’t your style or your great loves, but that you recognize as quality. I’ve learned so much from reading you in the first few years of my perfume love! Thank you! I was trying Superstition last night and got a massive licking down by one of my cats. That one surprised me! Oh, dear Kafka! It’s such a great pleasure to read your texts again! I find them so perfectly balanced, detailed, refined and exquisite that I can read them on and on again. Thank you so much for all your work to make your reviews so perfect! Dryad seems to me something I need asap based on your review and list of notes. I have all other 4 Papillon perfumes so Dryad is going to be a right and natural addition to the company! By the way it is thanks to you and your review of Salome that it became my instant blind buy and resulted in loving and buying the whole line. Wonderful, Aliya, I’m so glad I could help. 🙂 I hope you’ll love Dryad as much as the others. And thank you for the very kind words on the reviews. Oh, I’m so glad you reviewed this! I’ve been looking forward to this perfume since I read the early excitement about it. You know how I love mossy perfumes…. this doesn’t sound quite like my normal over the top animalic chypres, but still like something lovely that I would wear fairly frequently. Thank you! I’ve tested Dryad twice now, and I like it very much. On me it appears much as you’ve described it. The sillage is soft on me, so next time I’ll wear it outside to see if there’s a difference from the cool air conditioning indoors. 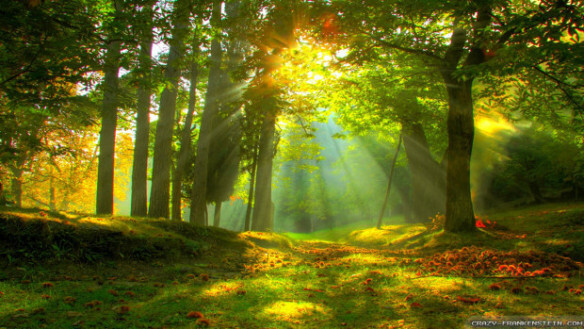 For me it creates an aura of peace and contentment, like dozing off under a big oak tree on a balmy afternoon. The first time I wore Dryad I drifted off into a much-needed and delightful afternoon nap. I thought of old Rip Van Winkle, so I dug out my ancient paperback and read the story again while wearing Dryad the second time, sort of like smelling the woods in the Catskill mountains. I’ll enjoy getting to know Dryad better. Thanks again for the great review. Much love back to you as well, Katie. It’s lovely to see you, and I hope 2017 has been good to you thus far. With regard to Dryad, it’s rather a pity you didn’t experience any of the florals, but a savory “leather and green lace” bouquet sounds good, especially if all the clary sage has a relaxing quality for you. Have a lovely Sunday evening, my dear. Oh myy. On my skin, despite some early side-eye at the galbanum, this goes straight to dark musk, horse flesh, and costus. Really well done costus. It reminds me a lot of Anubis’s beloved drydown, mostly in how much I want to nuzzle it, but moreover, I keep circling back to MKK. With the Lutens, I have to survive the first few hours, but once it starts to calm down, I get a musk that I live for–but only about 3 out of 5 times, sadly. But this has gone that direction every time so far. I think I might end up with this as opposed to L’eau de Merzhin as my outdoor musk party. It just feels a little smoother. Yum! And thanks for the temptations!